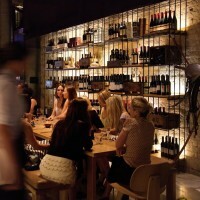 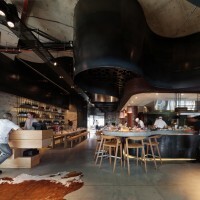 Woods Bagot have designed the Pony Restaurant in Brisbane, Australia. 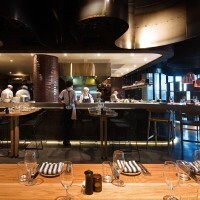 The first Pony restaurant outside Sydney has opened on Brisbane’s Eagle Street Pier, with Woods Bagot’s interiors centring around the sight and smell of an authentic charcoal grill. 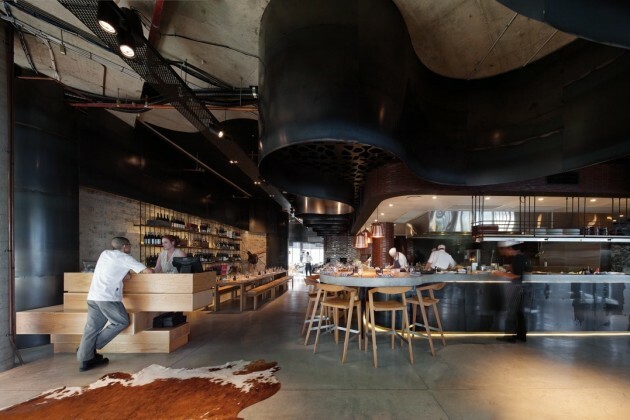 Drawing from the texture and forms of pony stables, Woods Bagot’s design team created a two-metre steel ribbon that winds through the space, implying soft metal that can be forged and shaped, reminiscent of a horse shoe or the curved line of a lasso loop. 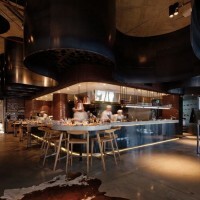 The stables were also evoked through choice of raw materials, exposed brick, raw steel, rough-sawn timber, wash troughs and exposed roughneck copper pipework, combined with comfortable leather upholstered furniture like a horse saddle. 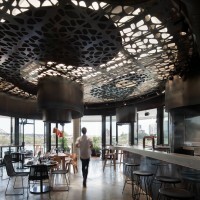 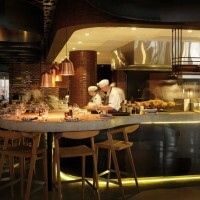 The food was also a major inspiration for the design of the restaurant, with the layout of the space centring around the theatre of the open rotisserie and grill, which allows patrons to view the spirited chefs, headed by Brisbane-born Damian Heads. 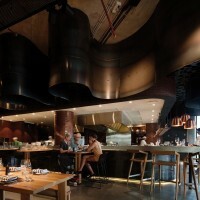 Pony Brisbane has inherited the brand’s honest, flavour driven menu, while the indoor/outdoor dining provides a distinctly Brisbane twist. 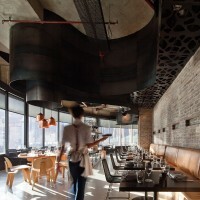 The restaurant features a number of dining spaces, with indoor transitioning to outdoor via an open, timber decked interior space. 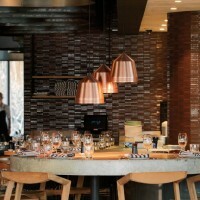 The result is a series of dining options, from open, communal dining areas, to more intimate banquettes and booths.